While railroading in the 1950s was becoming more efficient it unfortunately did not stem the tide of losses, which only became worse in the 1960s. The decade saw many railroads in financial trouble as well as a number of mergers. Names like the mighty Pennsylvania, New York Central, Chicago Great Western, Erie, Lackawanna, Seaboard Air Line, Atlantic Coast Line, and others would all disappear into merger in the 1960s. Also, passenger rail services began to worsen as lines cut back on spending as folks continued to abandon trains for cars and airplanes. By the decade's beginning only the most popular named trains like the Empire Builder and Super Chief still carried full service, including sleepers. It was not a good era for railroads and things continued to worsen, culminating with the Penn Central collapse of 1970. Railroads had a very bad 10 years during the '70s. As mentioned above, it was already off to a rough start with the creation of Penn Central in 1968, a company that had already declared bankruptcy by June of '70. The result of this was a ripple effect throughout the entire Northeast, as other railroads that depended on the Penn Central to ferry traffic no longer had a means to move much of their freight. These lines included names like Lehigh Valley, Reading Railroad, Lehigh & Hudson River Railway, Erie Lackawanna, and Delaware & Hudson Railway. 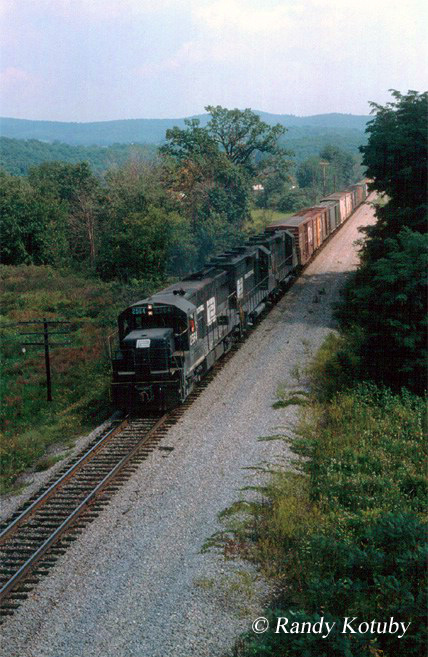 It became so bad that the Penn Central was facing total shutdown if financial assistance were not located. Realizing the severity of the situation the federal government stepped and setup the Consolidated Rail Corporation, which comprised the skeletons of several bankrupt Northeastern carriers, and began operations on April 1, 1976. With federal backing Conrail began to slowly pull out of the red ink (it took many years) and by the late 1980s was a profitable railroad after thousands of miles of access trackage was abandoned and/or upgraded. Aside from the creation of Conrail, railroading in the 1970s saw Amtrak born as well. The early years of Amtrak were somewhat like a circus as it attempted to organize a chaotic system from the remnants of the private freight railroads' passenger operations. Relief for the railroads would finally come in the way of the National Railroad Passenger Corporation, or Amtrak, signed into law by President Richard Nixon in the way of the Rail Passenger Service Act, which began operations on May 1st, 1971. 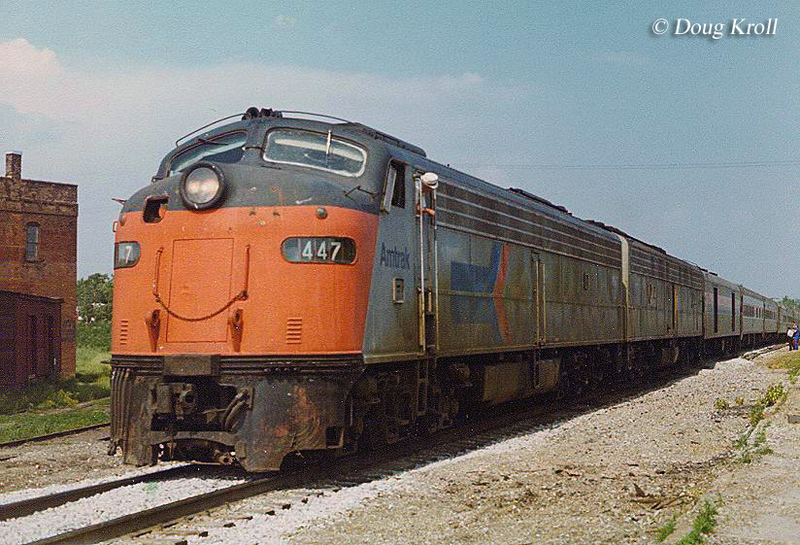 Some railroads like the Southern Railway and Denver & Rio Grande Western opted not to include their passenger operations in with Amtrak and others like the Rock Island could not afford to turn over their operations to the carrier but for the most passenger service provided by the private railroads ended forever after 1971. With the creation of Amtrak the passenger rail network (or that which was remaining) dropped from 112,000 miles in 1957 to just 49,000. 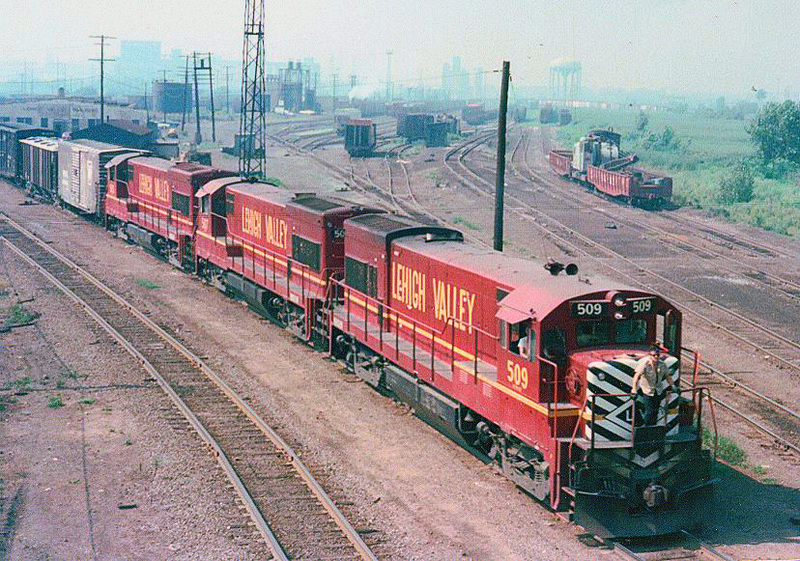 Aside from the creation of Conrail and the classic railroad companies which disappeared into its name others would be merged out of existence during the decade: Chessie System would become the corporate name of the Baltimore & Ohio, Chesapeake & Ohio, and Western Maryland in 1972; the marketing name of the Family Lines system gobbled up the Seaboard Coast Line, Louisville & Nashville, Clinchfield and other smaller lines; and Burlington Northern was formed in 1970 from the Burlington, Northern Pacific, Great Northern and Spokane, Portland & Seattle; after a botched merger preceding by the ICC the Rock Island was liquidated in 1980. These are just some of the biggest names to disappear, many smaller lines also went extinct at the time. Many railroads saw their intercity freight volume at near record lows to just 38.8% when in 1929 the industry had held roughly 75%. Also, since the decade began it had witnessed freight ton-mile volume more than double from its 771 billion figure. While the industry's percentage base would drop slightly in 1980, since that time it has slowly improved to over 40% today. It was not a good time to be in the business during the '70s and many seemed to think that the industry was an outdated mode of transportation that needed to be replaced. However, with the creation of the Staggers Act and deregulation of the industry things slowly began to change. Now free to set their own rates and more open to abandon unneeded trackage railroads slowly began to recover. 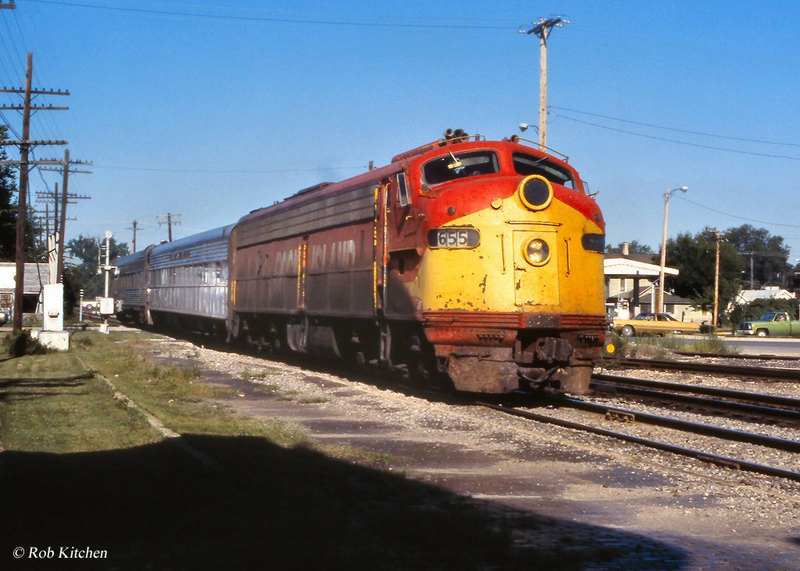 The mega-merger movement also continued during the 1980s as many more famous names like the Milwaukee Road, Southern Railway, Norfolk & Western Railway, Rio Grande and others all disappeared during the decade. While its been unfortunate to see these names gone forever railroads found a new role in the transportation market during the 1980s and today they play an extremely important role in moving goods and materials.